Charleston has been voted the Top US City by Conde Nast Traveler for the past 8 years and it’s not hard to see why. With a bustling economy, clean beaches and a red-hot culinary scene—Charleston is a well-rounded and fun place to work, live, play and call home. 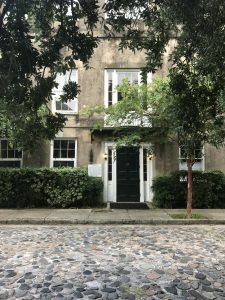 Below we’ve outlined just a few reasons why buying real estate in Charleston is a good investment. Real estate in Charleston has fully recovered from the 2008 recession and has shown a steady rate of growth each year. In the past couple of months, experts speculate that with the rising interest rates—prices are starting to level out a little bit but there is nothing to indicate that home values won’t continue to increase at a healthy rate. The current interest rate is 4.625% with an expected increase to around 5% in the spring. Historically spring is the busiest season in real estate for Charleston when weather is great and tourists flock to experience the city’s many attractions. Retirees are also discovering the extremely low property taxes in Charleston and are flocking to the south to enjoy a better quality of life and stretch their retirement savings further. Due to low income and property taxes, manufacturers such as Volvo and Mercedes are flocking to the state of South Carolina. Both companies are currently building large facilities just outside of Charleston and the suburbs around those areas are already experiencing the positive economic impacts from it. Boeing also offers quality employment opportunities and has done a nice job partnering with the community to recruit and train employees. Charleston has always been a port city, so with deep ties to trade and commerce, the community is happy to see other economic foundations established outside the tourism industry. Jobs and home values are undeniably important factors when analyzing quality of life in Charleston but it’s the people that make the Holy City the special place that it is. Some say people come to Charleston for the food but stay for the people and it’s not hard to see why. Charleston is a place that exudes southern charm and hospitality with “yes m’am” and “y’all” still overhead on every corner. The clip clop of horse carriages and church bells fill the air on Sunday mornings as people hurry down the street in their Sunday best. People hold the door open for each other and get to know their neighbor. It’s a place where people move to raise their children and establish a name for themselves through hard work and relationship building. If mild winters, a slower pace of living coupled with a vibrant cultural scene sound like your style—then give me a call and I’d be happy to show you around our beautiful city.